Lilly was at the gate with Star, waiting for their grain and hay. They will go into the pastures, loafing and browsing, visiting their neighbors across the road. She is having a good day. The dogs have settled on their pallets in the living room, catching the sun’s rays through the windows. We shall have a good lunch today in Fort Worth and a bottle of Vouvray or Bordeaux, depending upon our entree. We will talk of our Thanksgiving plans, most likely traveling to Fredericksburg, seeing Christmas lights as only that city can do it. Here on the Wesleyan campus, the church bells ring the hour and play music for a few minutes, arousing the students from their Saturday morning sleep. It is noon and I will walk to the Science Hall where Brenda is advising young men and women to coursework and bright futures. It is a fine, fine day. I’ve been curious…what does Brenda teach? I was at Fredericksburg about two years ago this time. I rewarded myself with a one-of-a-kind coat at a shop there, a present to myself, welcoming myself back to Minnesota, where I would be returning shortly. Sometimes we have to stretch for justification of money spent : ) Sounds like a good day you had and good plans for Thanksgiving. Descriptive., yet concise. Very nice. Hi Teresa: Brenda teaches at Texas Wesleyan University in Fort Worth. She teaches history like I do. Her specialty is New Deal Resettlement programs. She’s the division chair of social science. Fredericksburg is one of two places in the U.S. that we habitually take vacation. The other is Santa Fe. I have to tether Brenda when she is in Fredericksburg. She lets me go to the micro-breweries there, so after awhile I forget she is running up the credit card. 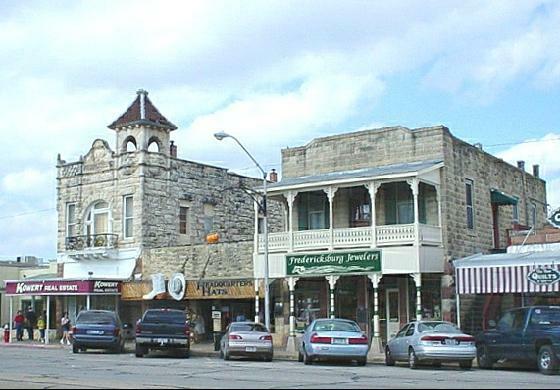 This year with the economy and my possible retirement we are going to Fredericksburg on a stricter budget — $100 for shopping. Yet, we will eat at good restaurants and have fun. Wish you down here, we would take you out to dinner on our tab, of course. This is good to read after the sadness of “The Other Side of Nature.” Moving on is good. You’re needed in the best shape you can be. I think writing about these things that eat us alive helps us get over them faster, which is always better than slower. It doesn’t diminish the ache though. Debra: And, it was good to write after “The Other Side of Nature.” You are correct about writing these things out. I know how much you feel about nature and know you are along with me in these processes. If you were in Fredericksburg over Thanksgiving, we would take you out to dinner on our tab, of course. I am still thinking about your “Brand” post.